This series of digital oscilloscope, max. 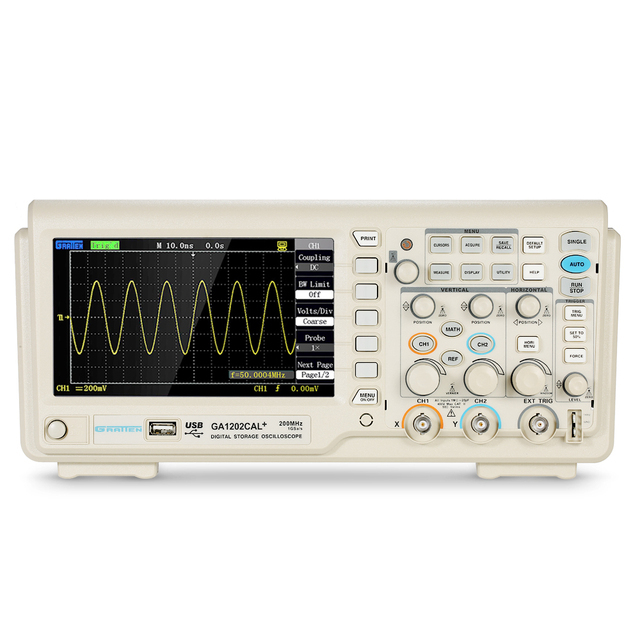 sampling rate is 1GSa/s, can be used to capture complicated and fast-changing signals. It supports USB device storage, user can update the system software via U-disk. 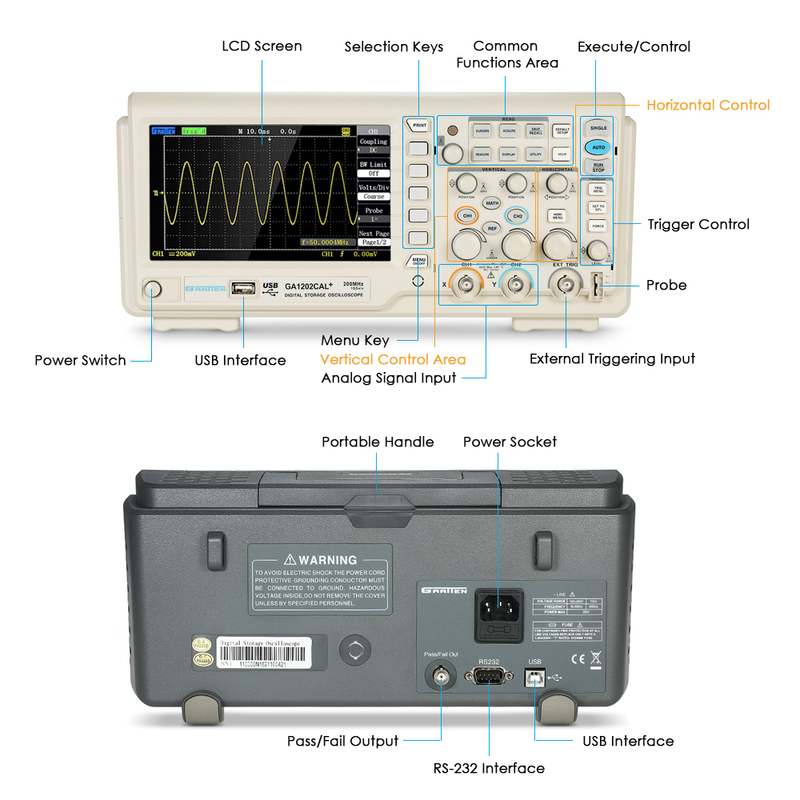 The oscilloscope features bench-type design, convenient operation, 7" color TFT LCD display, stable performance, etc. 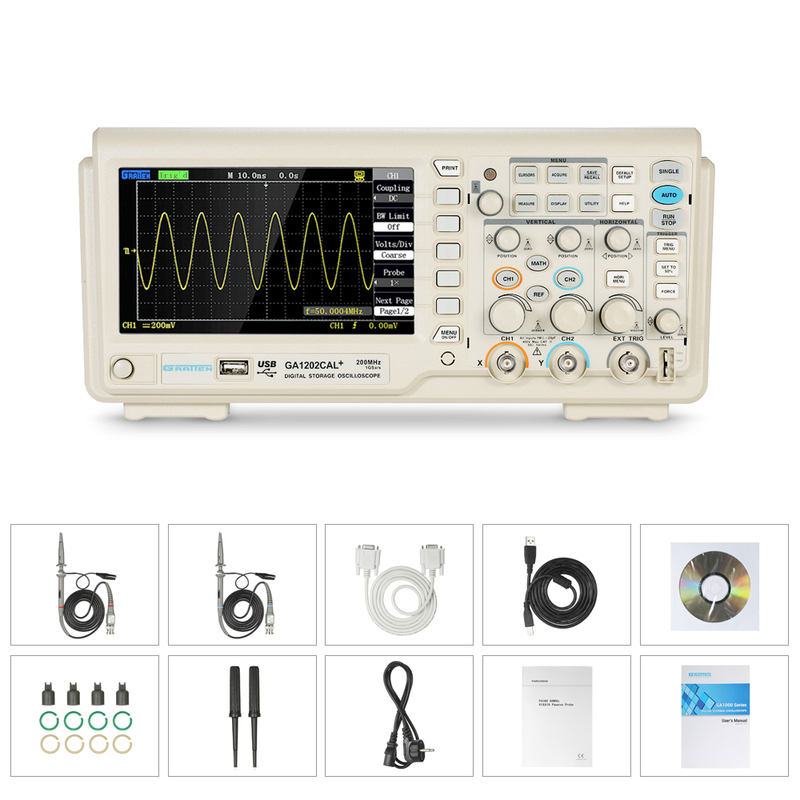 2CH digital oscilloscope, Max. sampling rate is 1GSa/s. 7 Inch color TFT LCD screen, stable and clear for waveform display. Trigger types: Edge, Pulse, Video, Slope, Alternative. 32 types of auto measurement function. Cursor measurement covers manual mode, track mode and auto mode. Internal Storage: 2 groups of reference waveforms, 16 ordinary waveforms and 20 settings. External Storage: support waveform/setting/CSV/bitmap storage. Adjustable brightness for waveform display and screen's grids. Pop-up menu display pattern is more convenient for users. USB Host: support U-disk storage/system update. USB Device: support remote communication with PC.